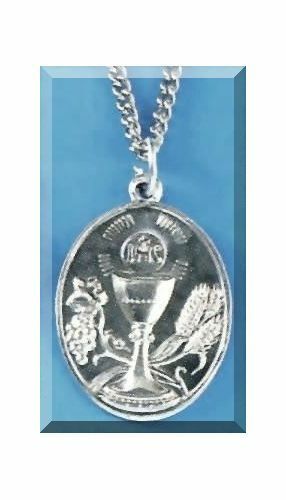 This First Communion medal features a chalice and host design surrounded by wheat and grapes which are the symbols of Holy Communion. This would be a nice remembrance of the special day. Gift boxed.